Municipal Ready-Mix Ltd. is a large sized construction company located in Sydney, Nova Scotia, Canada. 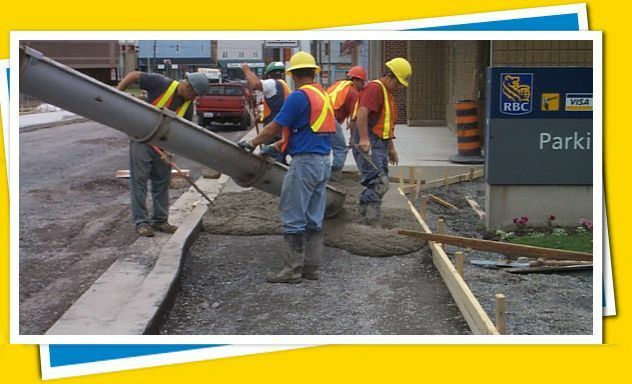 We specialize in the production of ready-mixed concrete and asphalt and also offer concrete services such as roadway reconstruction, curb, gutter and sidewalk installation and sewer and water main installations. We have a large fleet of radio dispatched trucks supplying concrete of any specification to most jobs big and small within the industrial Cape Breton area. All materials and mixes are to CSA standards. We have been producing and supplying concrete in the area since 1952 and have been the key supplier to most of the major construction projects for over 63 years. Our Meadows operation is equipped with a fully automated asphalt batch plant. We produce asphalt to any specification, including the latest Transport Canada specifications. We also sell various grades of gravel for any type of job, big or small. We specialize in all varieties of commercial and industrial concrete curb, gutter and sidewalk work as well as new and overlaid asphalt roadway and parking lot paving. Contact us for a free estimate on all your concrete, road construction and asphalt needs. We are proud to be locally owned and operated and support other local contractors. And when it’s time for a project cleanup, be sure to contact Millcreek Environmental Services.